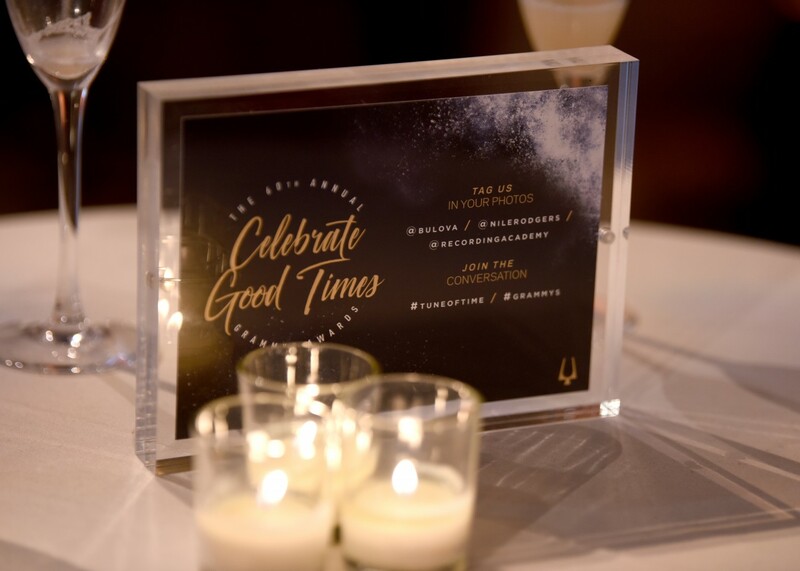 Bulova and the Recording Academy™ celebrated the 60th Anniversary of the GRAMMY Awards® with an intimate event, titled, “Tune of Time,” that took place on Saturday, January 27th. 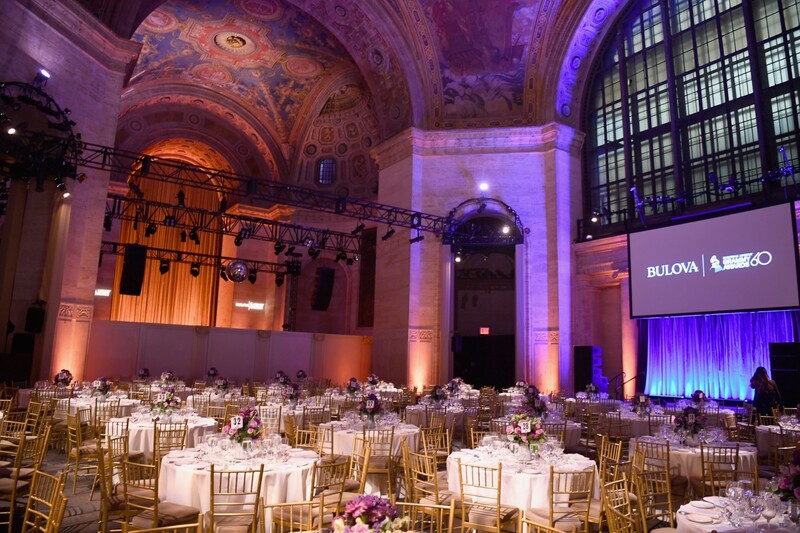 The event was held at the iconic Cipriani Broadway where those from the music industry, media, as well VIP friends of the brand were invited to kick-off GRAMMY weekend. 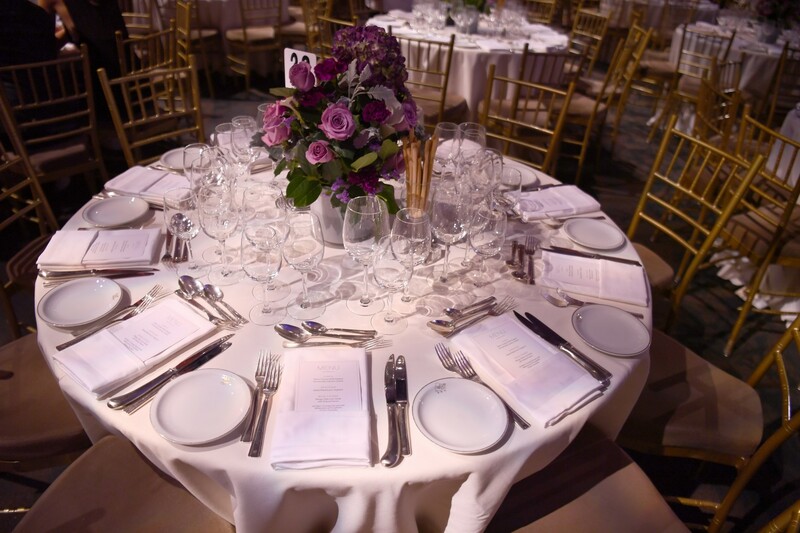 To start, guests were welcomed to discover the new Limited Edition 60th Anniversary GRAMMY timepiece that is the official timepiece gifted to all GRAMMY Award winners. 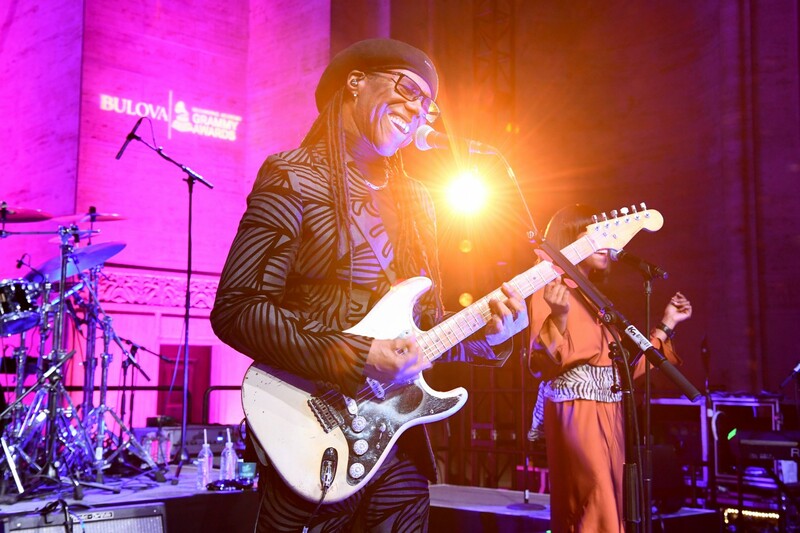 Guests were then invited to a seated brunch where they were welcomed by a Q&A between music legend and three-time GRAMMY Award winner, Nile Rodgers, and Executive Director of the GRAMMY Museum, Scott Goldman. Right before the Q&A, Nile was gifted the first Bulova Limited Edition 60th Anniversary GRAMMY Timepiece. Nile reflected on his career highs and spoke on his partnership with Bulova, including a special project and upcoming spring 2018 advertising campaign. 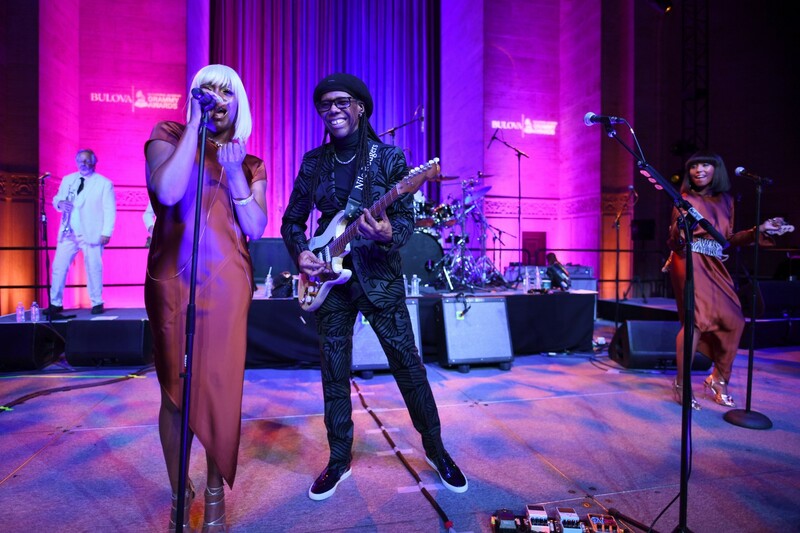 Nile and his band CHIC went on to rock the house with a private performance of some of their most favorited songs. 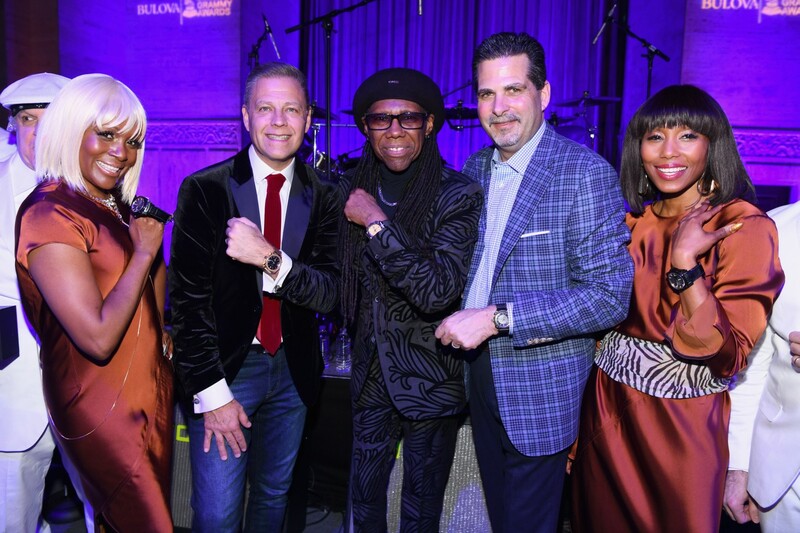 “We’re thrilled to continue this extraordinary partnership with Bulova, and to commemorate our milestone anniversary with the new Limited Edition timepiece that will be presented to all 60th GRAMMY® winners,” said Evan Greene, Chief Marketing Officer at the Recording Academy. The Limited Edition 60th Anniversary GRAMMY timepiece, from the brand’s Precisionist collection, features a stainless steel case with a multi- layer gold-tone GRAMMIUM® — a custom alloy developed by John Billings, the craftsman who creates, by hand, the lustrous gold gramophone statue that is presented to GRAMMY recipients — medallion dial showcasing the New York City skyline and 60th anniversary design detail. The commemorative watch is presented with a date window feature and sweeping second hand, that is proprietary to Bulova’s, threeprong quartz crystal, Precisionist movement. 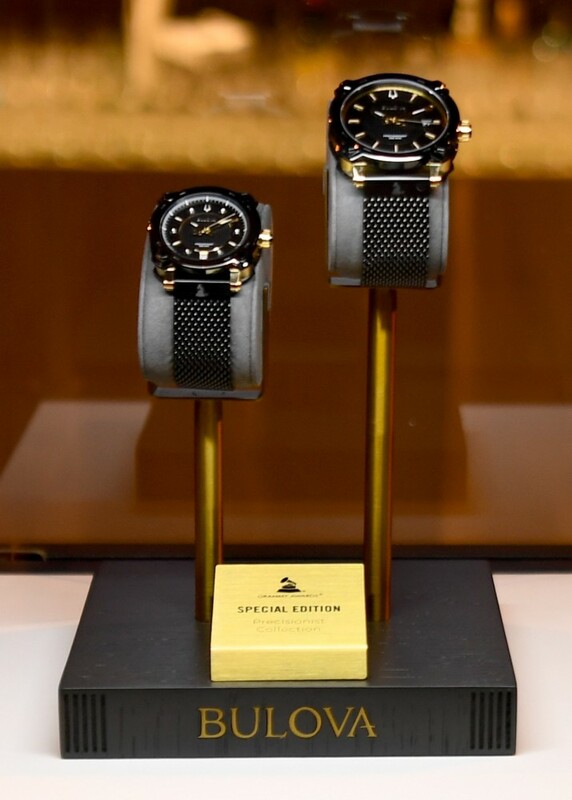 The watch is complete with an anti-reflective sapphire glass, screwback case with GRAMMY logo and a black rubber and croco-embossed grey leather strap. The new Limited Edition 60th Anniversary GRAMMY® timepiece is exclusively available for purchase at Macy’s Herald Square and Macys.com. 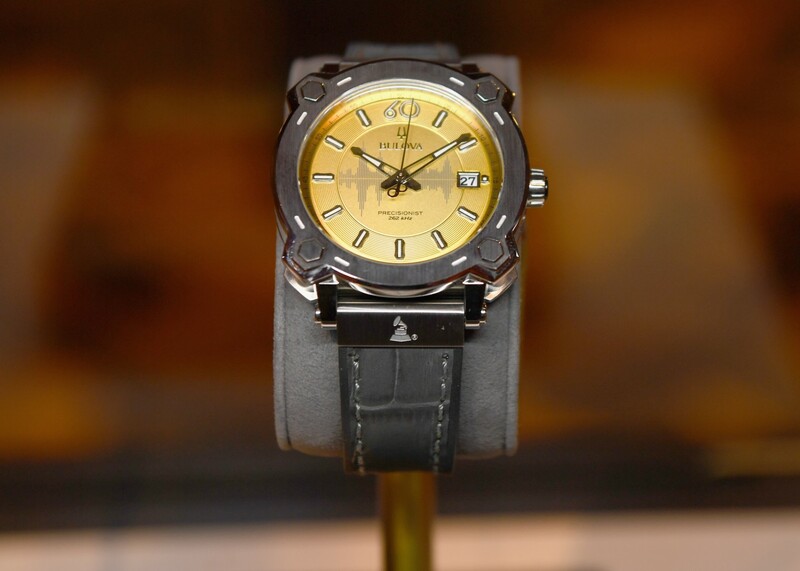 The watch retails for $1,150.